You may have seen it in Sephora. Maybe you've read about it in Glamour. But today I am letting you in on a little beauty secret! HUM Nutrition! Where beauty starts from within! As many of you may know, I have been a vegetarian/vegan for the past 11 years. I am always look for new and effective ways to get the nutrients my body needs from not only the foods that I eat, but from the vitamins and supplements I take as well. I have tried countless vitamins and digestive enzymes but to no avail did they give me the benefits I sought for my health. 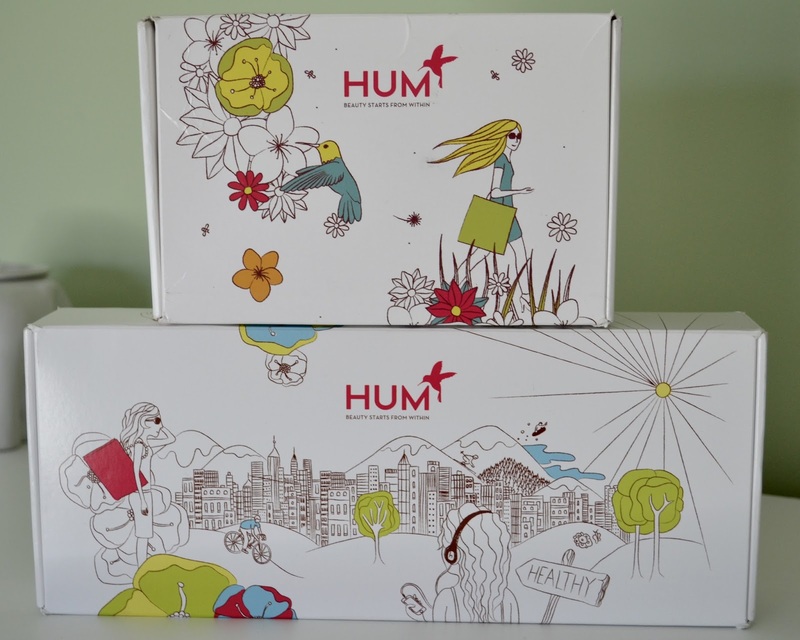 Then I came upon HUM Nutrition! What makes HUM so special is that every supplement is made of 100% natural, pure & potent premium quality ingredients and everything is GMO & Gluten Free! There are over 26 supplements to choose from! Now I know what you're thinking, "How I am I going to know which ones are right for me?" 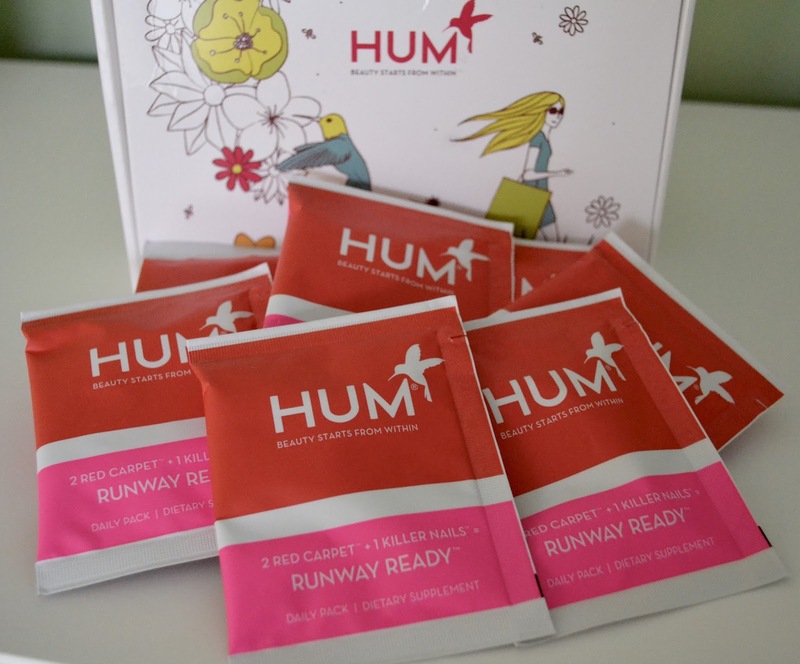 The wonderful people at HUM have made it so easy for you! They have a simple 3 minute quiz set up on their site that helps to personalize and pick the perfect supplements for you! Plus you get $10 off your first order just by taking the quiz!! 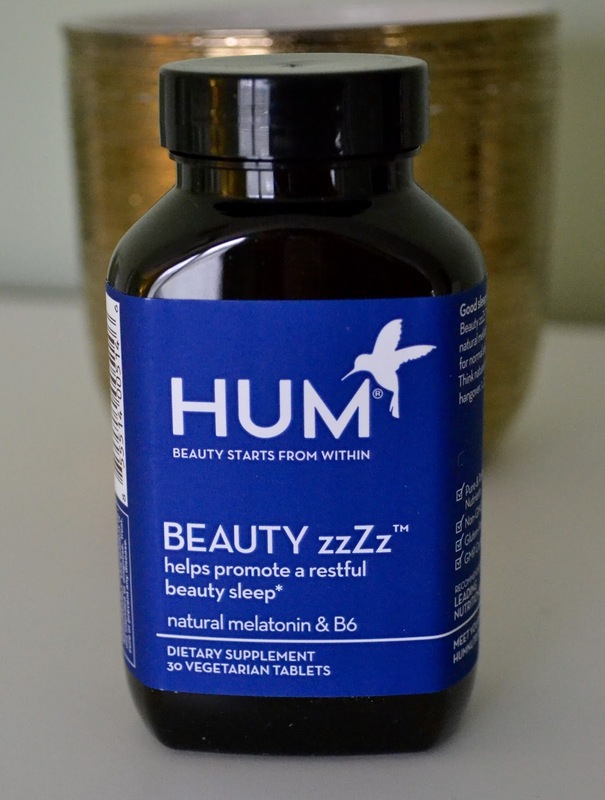 Beauty zzZz: Hello Mr. Serotonin Man! These little pills work wonders. I don't really have a hard time falling asleep, but lately I have been having a harder time going to bed. The directions say to take one tablet 20 minutes before bed on an empty tummy and wow they definitely work! What's even better, you don't wake up groggy the next day. You just feel like you had a great night sleep! 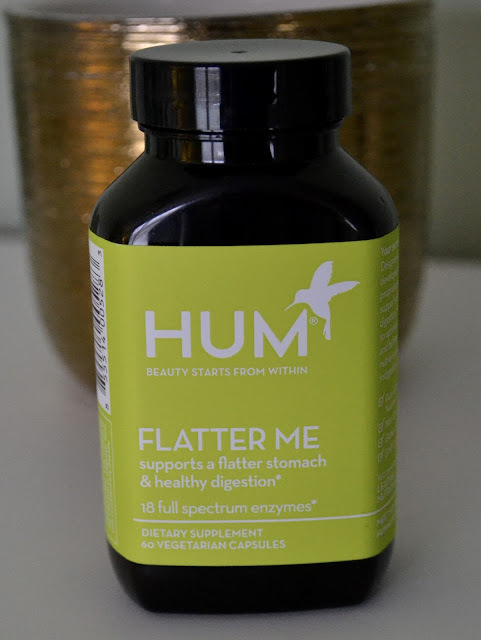 Flatter Me: These are the best digestive enzymes I have ever taken! I can't tell you how much money I have spent on other digestive enzymes in the past. Not only is the price point fantastic, but I only have to take two a day. Being a vegetarian/vegan, the foods that I eat can cause some discomfort and bloating and these little capsules make a huge difference. I can enjoy my food now and not have to suffer later from it. Big Chill: Like many people, I have a busy and stressful job. There are a lot of people and things that I have to deal with on a day to day basis and it can be very stressful at times. 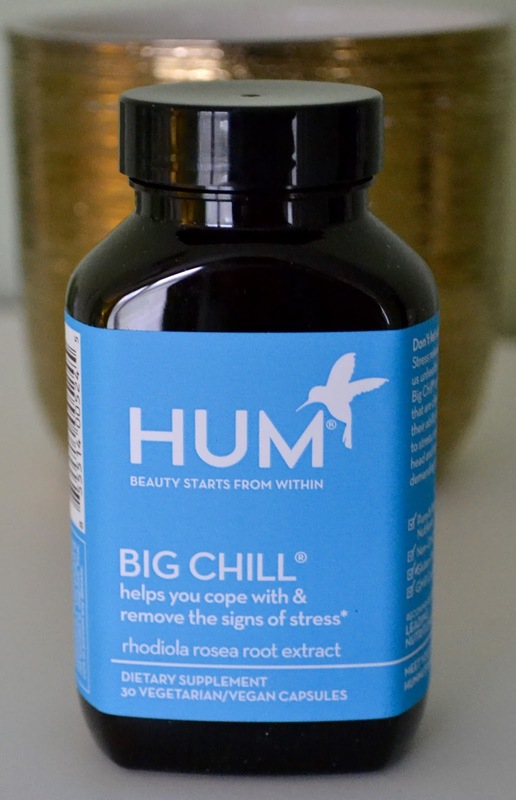 These supplements are meant to help you cope with your stress and remove the signs of it at well. I will continue to take these daily and let you know in my follow up post if they have made a difference in my busy life. 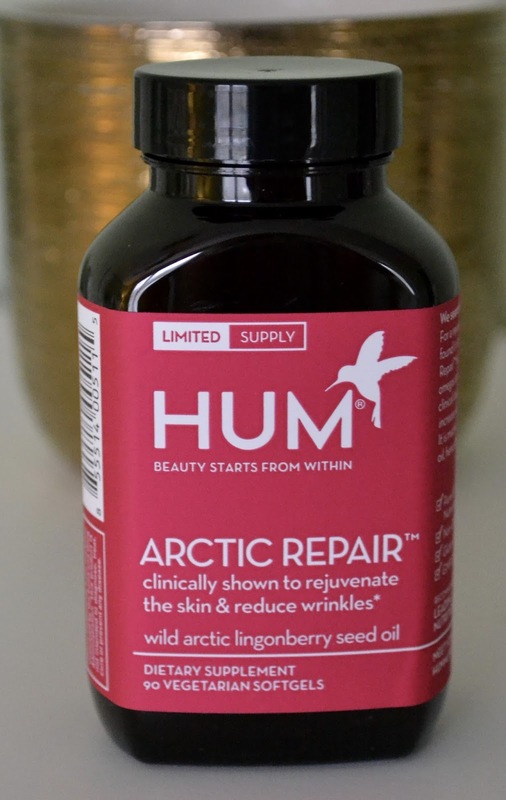 Arctic Repair: As I've said in past posts, I am all about taking preventative measures to aging. I am going to be 28 years old next month and I have noticed a few more lines on my forehead that weren't there before haha. Call me crazy, but I want to keep my skin looking young and wrinkle free for as long as possible without having to resort to Botox. It's just not for me, but to each's own :) I will let you know how these supplements fair after I have finished taking the Red Carpet Ready vitamins. 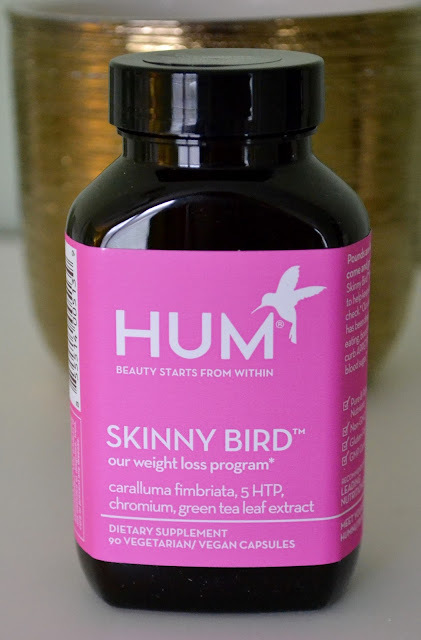 If you are interested in trying HUM Nutrition out for yourself, head over to their website and use my referral code for an addition $10 off your order. That's a total of $20 in savings! Thank you for stopping by! Let me know if you try any of these products and what your thoughts are on them!